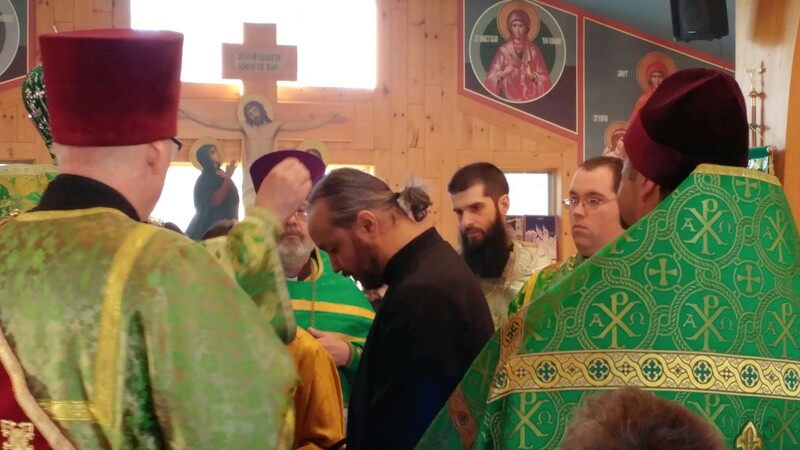 On Lazarus Saturday, April 8, 2017, Holy Apostles parishioner Ivan Bazarov was tonsured as a reader by His Eminence, Archbishop Michael, at Holy Trinity Orthodox Church. Fr. 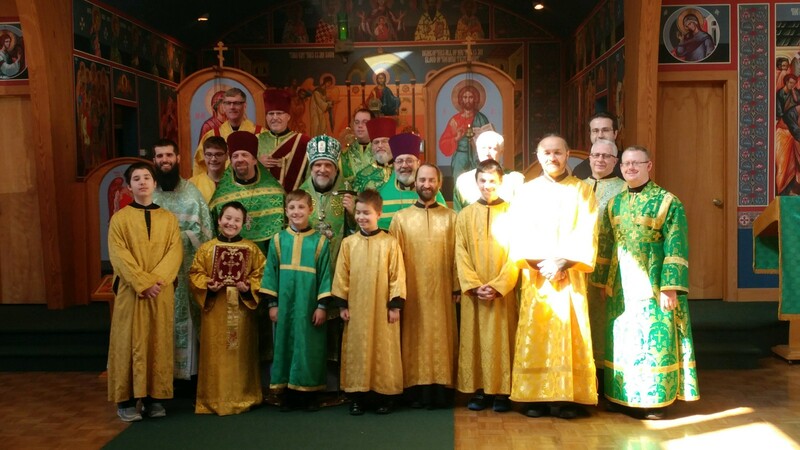 James Worthington, former pastor of Holy Apostles and current pastor of Holy Trinity, was awarded the kamilavka (large liturgical hat). Fr Joel Brady, current pastor of Holy Apostles, served with Archbishop Michael, Fr. James, and other area clergy. The first degree of the Priesthood is that of Reader. Therefore it is fitting for you to read every day in the Divine Scriptures, that they that hear, beholding you, may receive edification, and that you, in no way puttin to shame your election, may prepare yourself for a higher degree. For by living your life temperately, in holiness and uprightness, you shall gain the marcy of God, the Lover of Mankind, and be counted worthy of a higher ministry: In Christ Jesus our Lord, to whom be glory unto ages of ages. Amen.